NIA CHARLESTOWN NEVIS (June 24, 2016) — Junior Minister in the Ministry of Youth and Sports Hon. Hazel Brandy called on students in the annual Primary School Cricket League to emulate the passion fallen Nevisian cricketer Runako Morton had for the game and to let his accomplishments inspire them to excel. 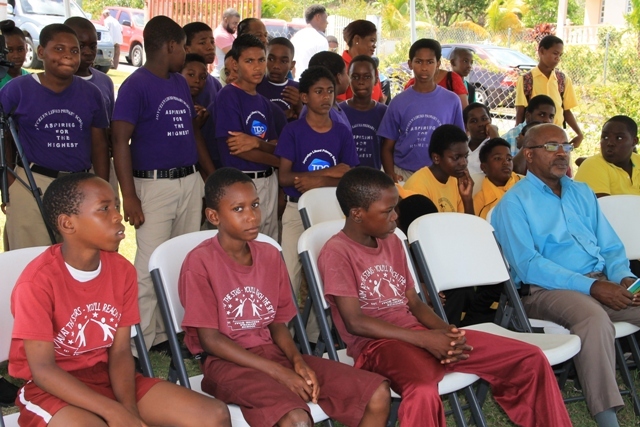 The minister addressed the students at a ceremony at the Cotton Ground Playfield on June 23, 2016, to rebrand the league to the Runako S. Morton TDC Sponsored Primary School Cricket League in honour of Morton, a cricket stalwart of Nevis. “I would like to impress upon you the importance of commitment to the game, the need for you to remain focused and to challenge yourself and each other so that you too could enjoy the successes that Runako himself enjoyed. “I want you to use his tenacity, his courage and his passion to inspire you to do well in the game,” she said. 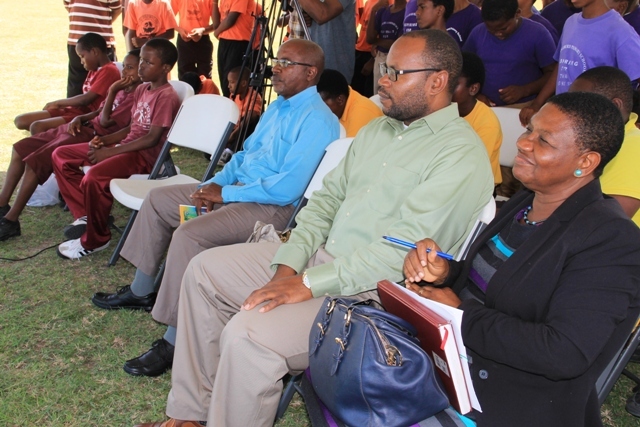 The minister urged students who were not familiar with who Morton was and his legacy to ask about him and to indulge in research to familiarise themselves on who he was. However, Mrs. Brandy-Williams described Morton as a lively person with an often unpredictable personality whose hard work paid off in a big way. She said he practised hard at his batting, trained for hours to remain fit and she wanted them to do the same. “He did not give up easily. I want you to have that fighting spirit as well and most importantly, he was loved by his peers. 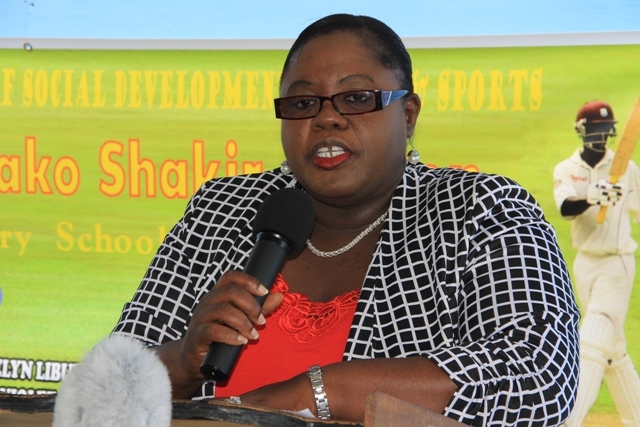 I want you to develop true camaraderie and lasting friendships during these games,” the minister said. The minister, also thanked Morton’s parents and family for allowing the Nevis Island Administration to use his name and his legacy to inspire the island’s youth in the game of cricket and for remembering him in a tangible way. Other remarks came from Jamir Claxton, Director of the Department of Youth and Sports; Palsy Wilkin, Principal Education Officer in the Ministry of Education; family member Marion Lescott and Michelle Liburd, Assistant Secretary in the Ministry of Sports.